1. 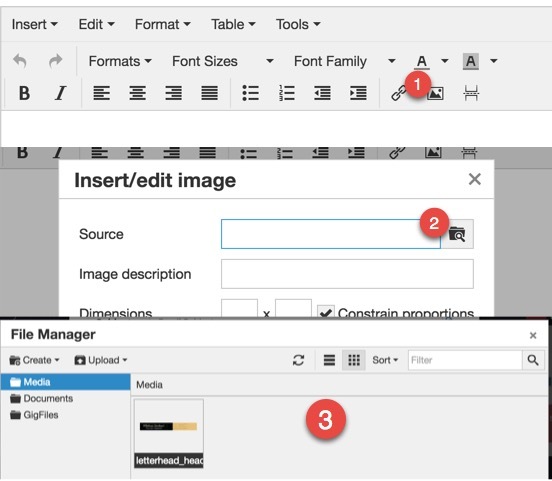 In either the email compose window, or the template editor click the image icon in the toolbar. 2. Click the file browser icon. 3. You can either select an existing file in the cloud file manager or upload a new file. 4. Click on the image you want to insert. To save time, insert images into your email templates. If you want text to wrap around your image, select the image and change the alignment.